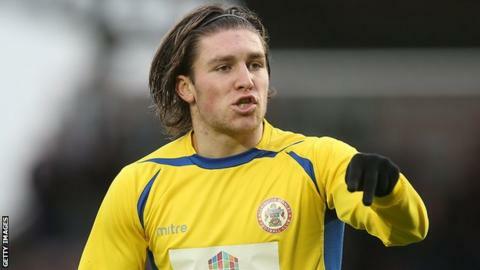 Rangers have moved to sign Accrington Stanley pair Josh Windass and Matt Crooks, according to the English League Two club's majority shareholder. Andy Holt revealed on Twitter that he was aware Rangers had opened talks with the midfielders, who are both 21. "I have been informed today that Rangers are talking to Josh and Crooksey about a move," he said. "This is unsolicited and is being done under Fifa international regs that I totally disagree with." Both players' contracts expire in the summer and they are free to speak to other clubs about potential summer moves under freedom of contract. However, they would be subject to compensation fees because of their ages. Windass, the son of former Aberdeen and Hull City striker Dean Windass, joined Accrington from Northern Premier League outfit Harrogate Railway Athletic in 2013. Crooks, who has also played in defence and up front, had previous loan spells with Halifax Town, Radcliffe Borough and Hartlepool United. He has scored seven goals this season, with manager John Coleman suggesting the player could become a millionaire if he works on his game. In Holt's series of messages, which were retweeted by Accrington's official account, he urged the club to battle with Rangers to hold on to the players. Stanley are chasing promotion and lie seventh in the League Two table, while Rangers lead the Scottish Championship, with manager Mark Warburton keen to build a squad with the prospect of top-flight football next season.